At Prospecs we are committed to delivering dream home solutions to high-end clients, and offer a complete building service, from New Builds to Renovations. We specialise in creating and enhancing properties and making them a real pleasure to live in, while keeping costs to a minimum. New Builds, Villas, Bungalows, Cottages, all ages and all styles – renovate, refurbish and enlarge; we can do it all, quickly, cost effectively and to a high standard of workmanship. 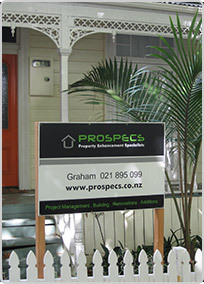 Prospecs offer the complete building service with one point of contact – our experienced project manager. We will work with you to bring your home into the 21st century.